Physicist (University of Padova in 1980). Senior researcher at the National Research Council – Institute of Atmospheric Science and Climate (CNR-ISAC). Since 1980 she works at the National Research Council of Italy (CNR), in the field of microclimatology, environmental sciences and conservation of cultural heritage and has studied several national and international monuments and museums (see the list at the bottom). Since 1984 he has participated to several research international projects(NATO, Bilateral), a lot of them supported by the European Commission (ENV-757-I(SB), EV4V-0051-I(A), EV4C-0082-I(A), CT90-0107 (SSMA), ENV4-CT95-088, ENV4-CT95-0092, ENV4-CT97-0511)) and she was coordinator of an EC Project, VIDRIO (contract EVK4-CT-2001-00045, 2002-2005). Actually she is coordinator of two European projects: TeACH (contract n. 212458) and NANOMATCH (contract n.283182) and scientific responsible in other two European projects: Messib (contract n. 211624) and H-Know (contract n. 214567). She has also been responsible for numerous of national projects. She is coordinator of the working group WG4 “Energy and Environment” in the Focus Area Cultural Heritage (FACH) inside the European Construction Technological Platform (ECTP). She was delegate for the FACH Group in the Joint Technology Initiative Building Energy Efficiency inside the European Construction Technological Platform (ECTP). 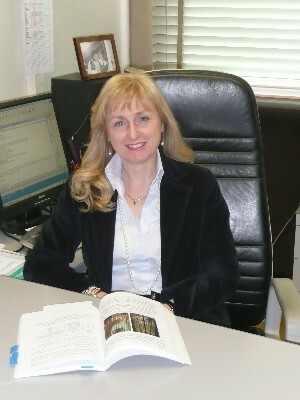 She is evaluator of National Research Programs for the MIUR (Italian Ministry of University and Research). She is responsible for Spin-off project of the Italian Ministry of University and Research (MIUR): Design of new meteorological and microclimatic sensors for monitoring in extreme environments. (Decreto Direttoriale n. 2548/Ric del 25 October 2005, G.U. n 257 del 4-11-2005) and President of the related Spin-off R.E.D. s.r.l. She is editor-in-chief of the Journal “Bollettino Geofisico”, published by the Italian Geophysical Association (AGI) and member of the Editorial Board of the scientific journal “The Science of Cultural Heritage”. She is member of some national and international working commissions established by the Ministry of Cultural Heritage and member of several commissions for the Italian normative (UNI/NORMAL) concerning museums and artworks conservation. In particular she was member of the Commission for the control of Lascaux Caves (France) from 2002 to 2010. She has published more than one hundred and eighthy scientific papers, appeared in peer-reviewed journals, either international or national ones, appeared in peer-reviewed journals and books. She is professor at the University Course “Microclimate for the conservation of works of art” for the degree in “Technologies for Cultural Heritage conservation” at the University of Ferrara. She taught at other university courses or at advanced schools for conservators also financed by the Commission of the European Communities and she was scientific member of courses for conservators. She organized and was scientific member of national and international congress. She obtained an invention patent of an instrument called �Rilevatore di condensa e metodo per la rilevazione di condensa su una superficie” (dew sensor on a surface). International class: G01N. She was tutor of numerous thesis of Phd and doctorate. She is referee of national and international scientific journals. Other known languages: English and French.